In memory of John Rixton. This video was made for “Quiet Voices” at Tate Britain in 2010. In John’s words “it was shot over one day in Jökulsárlón, South East Iceland”. Soundtrack is “Alone in the Rising Fog” by Aqua Dorsa (Gianluigi Gasparetti/oophoi & Enrico Coniglio) Glacial Movements. Enrico Coniglio & Nicola Di Croce will headline the night with their performance “Mergariam”, a sonic journey into the industrial area of Porto Marghera, one of the biggest chemical industries in Europe, located within the Venice lagoon. The performance is the result of a commissioned sound installation celebrating the 100 years anniversary of the industry. The album Mergariam will be launched on the night via the label Flaming Pines! Kate Carr presents a piece dedicated to the London Loop walking track which takes in recycling plants, car wreckers, and industrial storage plants alongside migratory bird reserves, temporary ponds and abandoned rusted machinery. David Veléz offers a depiction of post industrial Yorkshire soundscapes where abandoned factories and obsolete machinery work as quiet reminders of the abrasive sonorities and clanking noises that once fuelled Northern England’s industrial splendour. The performance will make use of garbage and found objects as percussive devices. Here a super nice interview with Mirco Salvadori posted on Radio Sheerwood. <<Meeting a looter of the ancient world is something that helps understanding this modern one. These looters’ behaviour does not contain violence or abuse, they are idealists armed with high sensitivity microphones, the same sensitivity they spread on the grooves where the sound is sown. Enrico Coniglio is one of these warriors, inoffensive yet dangerously able to alienate and perturb those who come in contact with the work they produce. One of the greatest Italian exponents of soundscaping, master of sound alternation that allows listening experiences soaked with opposed materiality, linked to the apparent inconsistency of the recorded sound as well as to the ethereal sweetness of the just faint melody. This is a chat that we had a few months ago, on the occasion of his live performance within the festival Oblique Strategies curated by Giuliana Placanica at the Fusion Art Center / Neo of Padua, an event dedicated to border-line sound – which will resume in the fall.>> Read more at here. Many thanks to Giulia Baldi for the translation from Italian. “Waiting for your next breath” (Ita “NELL’ATTESA DEL TUO PROSSIMO RESPIRO”) is a double photographic book that includes four different photographic stories by Stefano Gentile and Monica Testa, whose shots have as object of investigation the landscapes of abandonment. Those that once were spaces for social relations (cinemas, parks, hospitals and so on), have now become temples of ruin: marginal, forbidden, dangerous, inaccessible. However, without indulging in the simple ‘painting of ruins’ so dear to Piranesi, they draw from the decadence of architectural complexes and materials the power to imagine possible futures of meaning. Here, in this lies the wait for your next breath… Enrico Coniglio and Stefano Guzzetti – separately – have created, in the margins of the photographic images, some possible musical settings, which we hope can accompany the slow browsing of the book by future owners. A split album by me and Christian Di Vito for 1834 digital label. Our Summer’s mood. 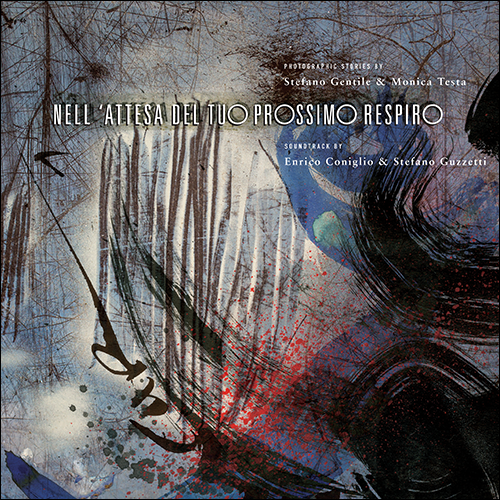 “II” is an excerpt from a new track by ENRICO CONIGLIO taken from “NELL’ATTESA DEL TUO PROSSIMO RESPIRO” (Waiting for your next breath). A double photographic book that collects four different photographic stories curated by STEFANO GENTILE and MONICA TESTA. ENRICO CONIGLIO and STEFANO GUZZETTI, on two separate cds (one for each one), have voiced, on the margin of photographic images, the possible musical settings, which we hope can accompany. The two 25×25 cm sized books are packaged in a “container” where the two CDs are also spaced. Vocals & words: Alessandra Trevisan. Happy to be featured in the sound installation “Anotações Sonoras: Espaço, Pausa, Repetição” by Pedro Tudela and Miguel Carvalhais. The Faculty of Fine Arts, University of Porto invites you for the opening of the exhibition Sonic Annotations: Space, Pause, Repetition, Friday, 23rd of March at 6 pm. A sound installation by Pedro Tudela and Miguel Carvalhais with contributions by invited artists. The installation uses all of the gallery space creating a listening area encircled by multiple sound sources establishing a connection with the architecture.